Found Your Forever Home? Here’s How to Love it. Once you’ve found the home you want to stay in, well, pretty much forever, you may want to make some permanent changes to the property so it suits your lifestyle for years to come. Of course, this all depends on your age when you buy the home too. You may not want to be installing a stair lift if you’re in your 30s but it might be a good idea if you’re in your 60s. You may not need it now, but if you have a 2-story home, this can alleviate some pains and hazards later on. 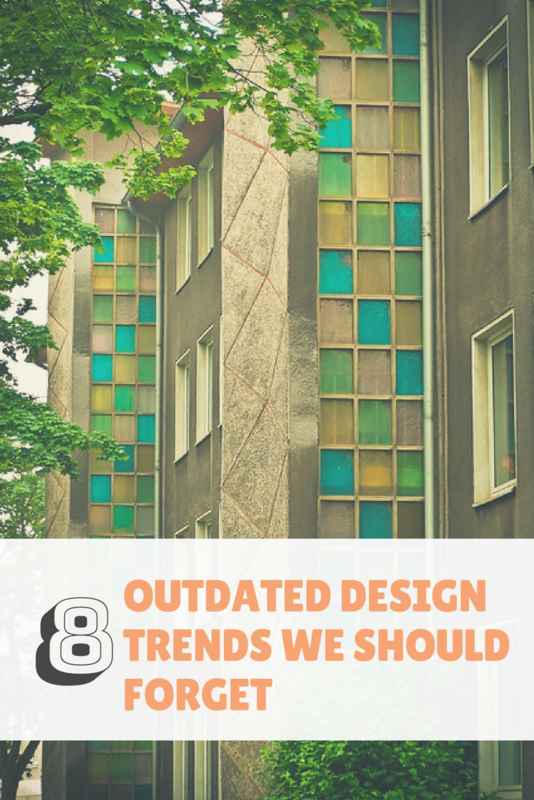 But regardless, there are some great projects that you can do to love your home and make it super convenient for you for years to come. This can cost up to $10,000 but the benefit is amazing. A curbless shower allows you to walk in and out without stepping over a large threshold. It opens at the floor space for easy maneuvering and can also help the eight the cramped feeling if you need someone else in the shower with you. You might also consider a rolling shower chair or an installed fold-down chair for easy showering. #2. Decorative grab bars in the bathroom. While you’re already in their, consider installing some decorative grab bars the blend into your bathrooms design and avoid that hospital. These can hold your weight but have decorative details such as a shower rack or shelving. It adds just another level of safety to a sometimes slippery room. #3. Pullout shelves in the kitchen. You certainly don’t need to be retirement age to enjoy this feature. This can cost anywhere from $1000-$2500 and it creates pullout pantry shelving system for easy access. These pulldown shells and upper cabinets and pullout shelves in lower cabinets can help you reach all of the items safely and effectively without the risk of climbing on a stool, letter, or kneeling on the floor. (And the bonus is you won’t forget what you’ve put into the back of the cabinet). #4. Add drawer pulls and knobs to cabinets and drawers. A lot of homes were built in the 1980s and 1990s without any hardware on the kitchen cabinets and drawers. It can be harder to grasp the cabinets as you get older but regardless of your age, having a solid knob to hold on to within easy open and close system for drawers and cabinets will make everyone’s life easier. This can cost up to about $300 depending on how many cabinets you have. #5. Add LED canister lights. Mood lighting with lamps and small light fixtures may not cut it as we age. Simply installing rows of LED canister lights running lengthwise on each side of the room can add a lot of light and brightness to the space. #6. Eliminate thresholds and stairs if possible. Replacing the front steps with a ramp can make it easier for just about anyone to access your house. You might also consider eliminating the door threshold as it can create a tripping hazard. To remove the threshold, give the door a retractable bottom that seals when the doors close and lifts when the door is open. You can activate the device and open the door with just one finger and is considered a small project of around $400. Of course, the longer you live in the home the more you make it your own. 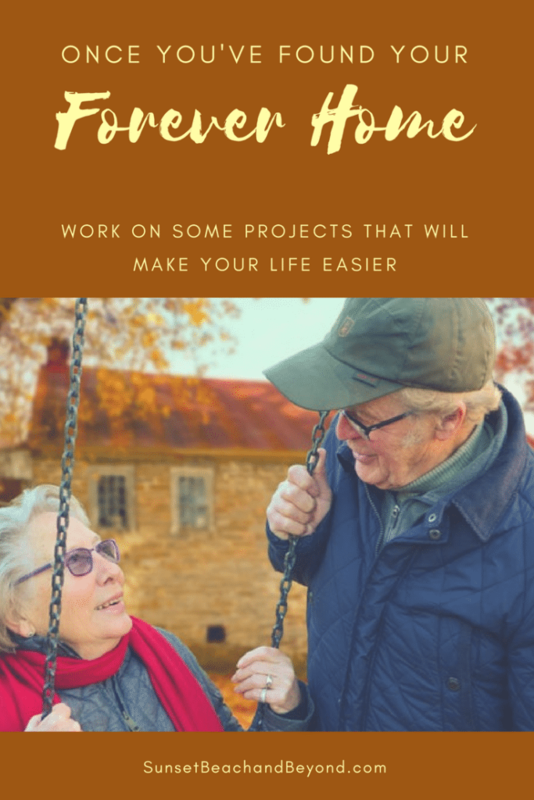 There are always tips, tricks and things you can do to make a home truly your own but these are some easy projects you might consider, especially if you plan on being in the home far into your golden years. 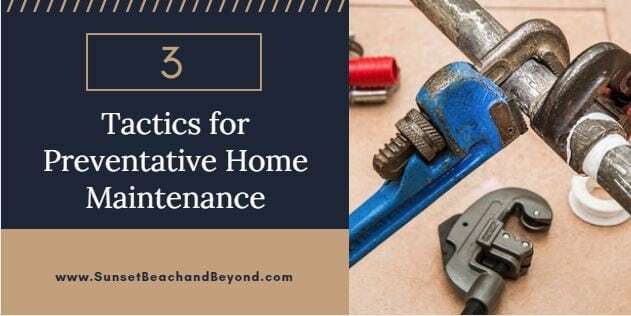 I certainly don’t want to use the term “lazy” when I’m talking about inexpensive fix ups to make your home look more expensive than it really is because all of these things do take time and of course, money. But there are ways to create an expensive look in your home for fractions on the dollar. Here are some unique ways that you can live well, look expensive and still have money left over in your budget. Nowadays these dark wood floors are all the rage whether they are a dark cherry, stained dark or painted black but they may not look that way forever. The same goes with black vehicles; they only look good a few minutes after you wash them. Give it a day or two and they’ll be stuff all over it again. The same is true with your hardwood floors. Going with a lighter wood or a white washed wood can reflect more light into the room and show a lot less dirt. #2. Quartz instead of granite. There are a lot of ways to get that faux granite look. You don’t have to worry about chips, stains or scratches and there’s never resealing when you go with the quartz countertop instead. Also, quartz comes in hundreds of finishes and colors and always looks the same regardless. With marble or with granite, what you see is what you get and you usually cannot replace it with a similar style as it just won’t match. Stay with me here; this is not the neon green, hard and rough turf that you probably remember from the football field back in high school. Today’s artificial turf can be lush, dark green and even soft with various bits of brown, black and lighter blades mixed in between. 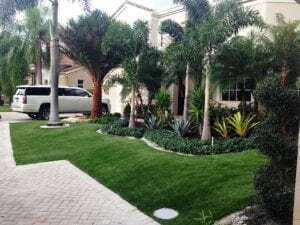 It truly does look very real and of course you’ll never have to water it, saving money on the environment and your utility bill and you’ll never have to mow it. A frameless glass enclosure for your shower can look modern and sleek and by eliminating the frame you can cut down on the soap scum and gunk that can accumulate along the frame. The only thing you’ll have to do is squeegee the glass about every few uses in order for it to look pristine and clear. You could even look at the easy care glass that may require very minimal if any maintenance at all. In many of today’s newer homes gas fireplaces are all the rage. You can even go with an electric fireplace to give you the ambiance without a lot of heat, especially if you live in a warm climate. There are even ways to cut back on the costs here. You can choose gas logs if you have an existing fireplace that are just a couple hundred dollars rather than an entire insert that may be a couple thousand dollars. These are just a few touches that you can make to your existing home to add flair and luxury without the luxurious price tag. For more information on upgrading your home, home improvement tactics or staging your home for today’s buyers throughout Sunset Beach and surrounding communities and towns contact our office today.